Along with freedom and cost savings, cloud computing brings complexity. Dividing up data and processes between private data centers and the cloud can be complicated. It’s even more true with the internet of things, which usually includes specialized remote devices and layers of gateways. 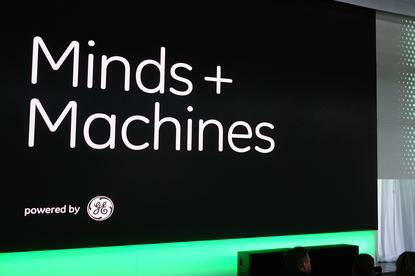 On Tuesday at its Minds + Machines conference, GE Digital introduced a system for enterprises to spread out IoT tasks to be more effective. The new set of capabilities, called Predix Edge System, turns the company’s cloud-based Predix IoT platform into a distributed operating system. With it, organizations can place each of their IoT applications wherever it will run most effectively, including in sensors, controllers, gateways or the cloud. “You have to take advantage of all those compute nodes so you can choose the right tradeoff of latency and cost,” said Harel Kodesh, CTO of GE Digital and vice president of Predix, in an interview. For example, the code that shuts down a pipeline in case of a leak should run as close as possible to the leak sensor rather than up in the cloud, where there will be a longer delay before the shutdown command can reach the site. Predix has resided overwhelmingly in the cloud so far, though it has included some software that runs on edge devices to stream data into the cloud. With the addition of Predix Edge System, enterprises that buy Predix will also get a variety of new components that can run elsewhere. For example, some applications, such as software that controls a turbine, will be virtualized so they can run in different places.